This guest review was graciously provided my one of my book club sistas, M.
I am a music educator by trade. To put it poetically, the sun is setting on my summer. I usually fill my summer with reading from the library. 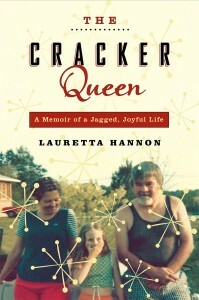 On the day I picked The Cracker Queen I was taking my usual stroll (yes, I stroll in summer) around the library. 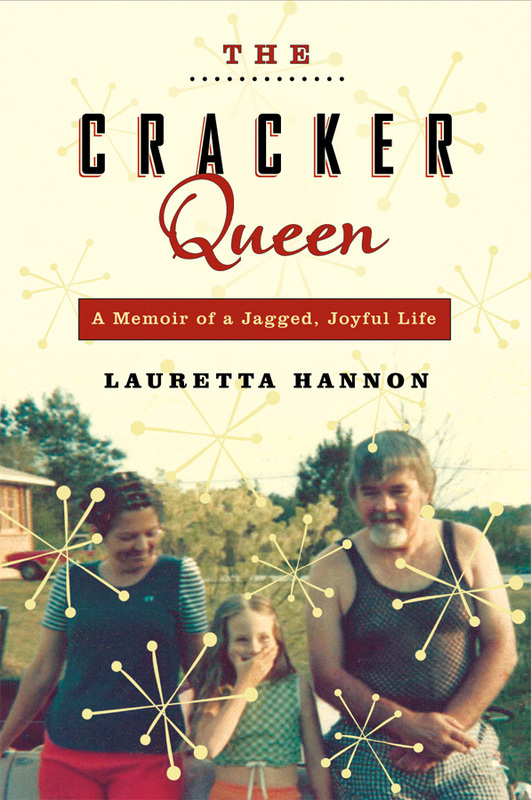 I picked up The Cracker Queen because it’s about life in the South. Being a Southerner, I love just about everything Southern. So many times I have picked up humorous books about the South, only to hate them in the end. I really didn’t have high expectations for this book. I was happily surprised that this book took me home. You know, the home where your Mama sees you and arms fly open, eyes sparkle and kisses cover you like white on rice. The home where tables are weighed down with fresh vegetables and prayers. It just feels good. To put it simply, it’s love. More than once I caught myself tearing up and laughing at the same time. Like the author, I am from a small middle Georgia town. Small town folks know that characters abound and truth is stranger than fiction. Ms. Hannon’s Daddy was a music educator, and her Mama worked in a factory. She may not have had much material wealth, but her parents spoiled her with a wealth of creativity, intuition, humor and most importantly love. Sometimes that love meant using a fake credit card at K-Mart to purchase school clothes or walking around a “haunted” closed down nursing home or letting her explore the world through books. Heart break was a part of life, but not harped upon. Ms. Hannon lost her father at an early age. His influence and love were a big part of her life. M., thank you for this beautiful review and for the introduction to a local writer I wasn’t familiar with. I’m ordering the book now. I can’t wait to talk to you about it when I finish! E.
A great big honkin’ THANK YOU to the reviewer! It’s thrilling when someone really “gets” the book. And right back at ‘cha to the AUTHOR for stopping by! Thanks, Lauretta!